The Right Worshipful Provincial Grand Master is please to announce that the following brethren have been honoured with Provincial RAM Grand Rank. 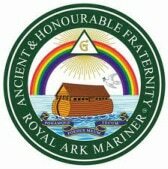 They will be invested at a Provincial Royal Ark Mariner Assembly to be held on Tuesday 21st March 2017 at 4.30 pm at Saxon Hall, Southend on Sea. (This will take place immediately before the meeting of the Essex Enthroned Commanders Lodge, No. 1044). The Fraternity in Essex in the past and for their continued efforts in the future.